If you grew up in the UK then a fairly high percentage of you will of been away in a caravan. I spent many a happy six week school holiday with my brother and sister totally off grid with only foot pumps for water and a gas bottle for light and heat. Things have got a little bit easier these days and the whole energy system built into caravans gets more sophisticated each year. Our current touring caravan was built in 2004 but it still provides a high level of ‘luxury’ while living off grid. From the pictures above (use your arrow keys) you’ll see that the van carries two 6kg propane bottles, these are a newer kind of cylinder that are light weight and include a gas level indicator. You carry two so that you can switch the bottle in the middle of a winters night ensuring continuation of heat while you exchange the empty bottle. The propane provides energy for a hob and oven for cooking, heating the water tank for the sinks and shower, blown air heating system and running the fridge and ice box. The 110Ah leisure battery provides a 12v electrical system for all the lighting, pumping the water through the taps and shower, powering the freeview antenna, powering laptops and mobile internet WiFi routers and by using an inverter you are able to power household appliances like a LCD TV or a hairdryer. 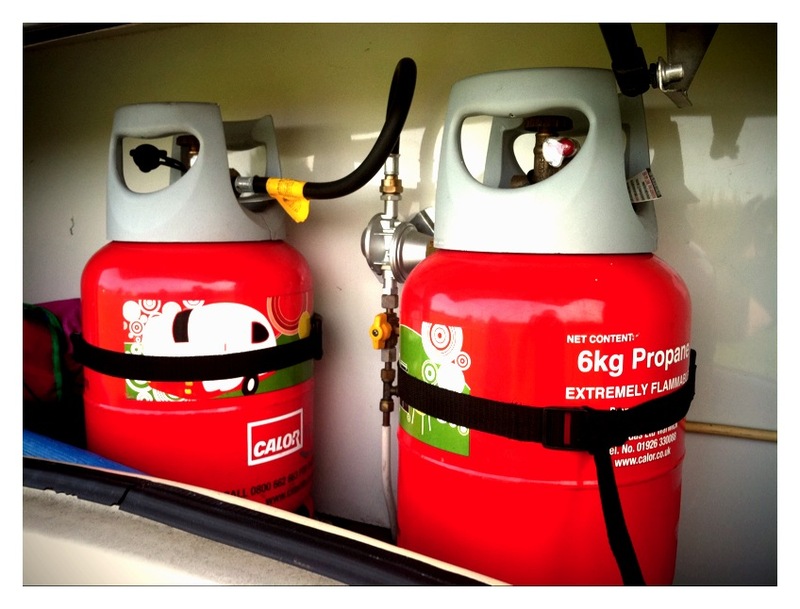 The 12v system will also power the fridge at a much reduced rate when towing. As the four berth van weighs 1300KG the battery also powers a remote control mover that will move the caravan at the touch of a button, which for me is invaluable when putting the van back into it’s tight storage position. I have a large 50W solar panel that will top up the battery when off grid for longer periods of time and of course the battery will charge by the car when being towed. I’d love to find a generator that can charge the battery by Propane, this would ensure even longer off grid living without resorting to a diesel generator. Booking the time off work, however, is a different matter! … Happy Caravaning! Nice, I need to get set up for that sometime.